Illustrating physical changes over time is a great way to demonstrate the impact of processes in geography. The good news is that there are lots of free, easy to use tools online to do this. A good starting point is creating an animated GIF. An animated GIF is an image which contains a number of images or frames in a single file. The frames are presented in a specific order in order to convey animation. 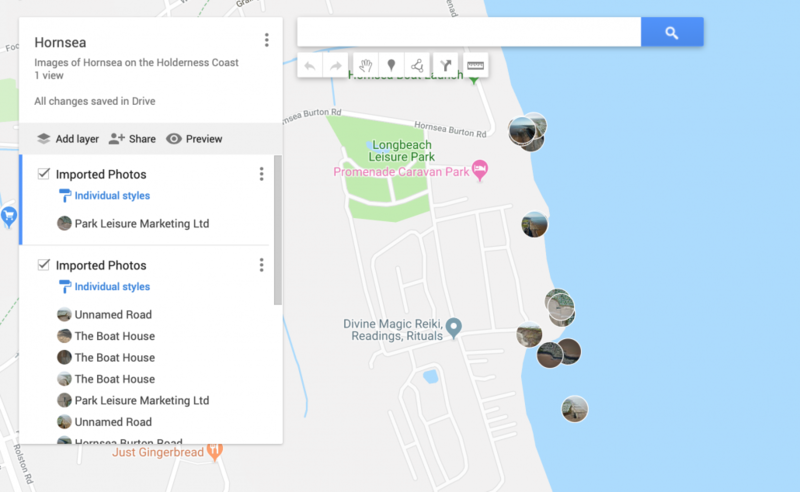 The animated GIF below shows changes along the coast to the south of the sea defences at Withernsea on the Holderness Coast. Creating the animated GIF above involved capturing two aerial images from Google Earth which were then combined using free, online GIF making software. The steps for creating this image are listed below. Step 2 – Open Google Earth and choose the location you want to create an animated GIF for. Step 4 – Use the slider to select your first image. 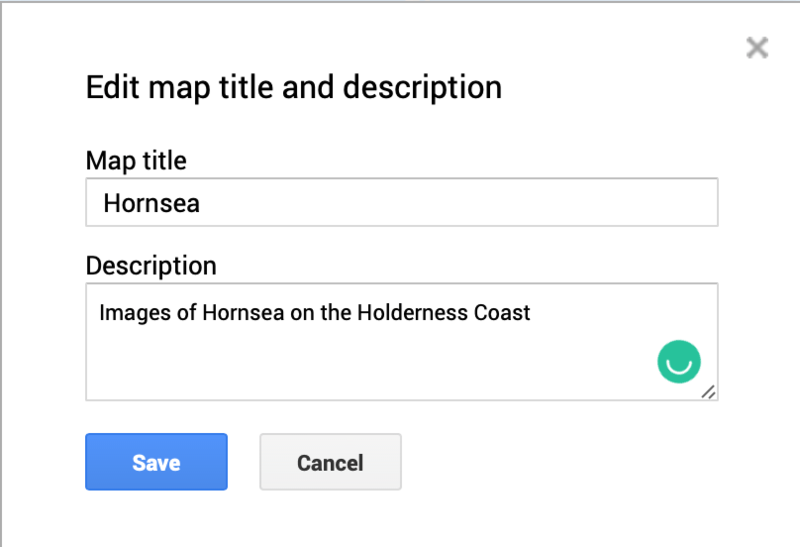 Step 5 – Click the Save Image icon (it looks like a pin on a map). This will download the image to your computer. Step 6 – Give the image an appropriate title. Choose the resolution you want to use. The higher the resolution the clearer the image (and the larger the image file). Step 7 – Click the Save Image button. Step 8 – Use the slider to select the date of your next image. Repeat steps 5-7. Step 9 – You can capture any number of images for your animated GIF. Step 10 – You now need to create your animated GIF from the captured images. To do this go to http://gifmaker.me. Step 11 – Click Upload Images and upload the images you want to use. Step 12 – Experiment with the Animation speed slider. Once you are happy with the speed click the Create GIF Animation button. Another technique to illustrate changes over time is to superimpose one image over another. The image below shows the coastline south of Withernsea in 2017 with the coastline from 2007 superimposed over the top.